Keeping your office stocked with the supplies you need to keep it clean is a breeze with Sandia Office Supply! We carry quality products at affordable prices—with free next-day delivery! Whether you are looking for green cleaning supplies, recycling services, breakroom supplies or Keurig coffee services, we are your single-source solution for everything you need to keep your office running efficiently. Our knowledgeable staff is on hand ready to help you get the most affordable solutions for your cleaning supply needs. We understand that keeping your staff safe during and after the cleaning process is of utmost importance. As a 3M Twist ‘n Fill™ Authorized Dealer, we provide you with top-of-the-line solutions for safely mixing and dispensing your cleaning chemicals. Please contact us for more information. If your office is like most, coffee is a staple that employees just can’t go without. Limit time lost to coffee runs with affordable Keurig services from Sandia Office Supply! We carry a large variety of single-serve coffee makers and a mouthwatering selection of Keurig K-Cup flavors to satisfy every preference. Please contact us for more information on how you can establish an affordable coffee solution employees will love. Sandia Office Supply is proud to be the largest independently-owned office supply store in New Mexico. With over 30,000 items available for next-day delivery, you can count on us to be there for you when you need us. Contact us to set up an account today. 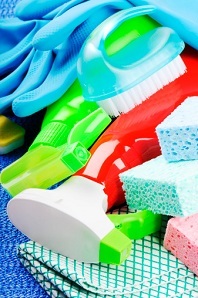 Call 505-341-4900 for all of your breakroom and cleaning supply needs!